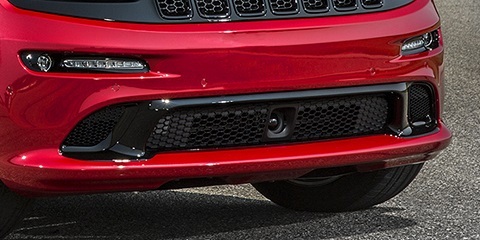 A pair of Mopar factory gloss black brake duct intake rings on the 2015 Red Vapor SRT8 WK2 Grand Cherokee. Pricey but Defiantly worth it! Very easy install. Item arrived very quickly. Looks great! ProsEasy to install. Gives the front end a more aggressive look. 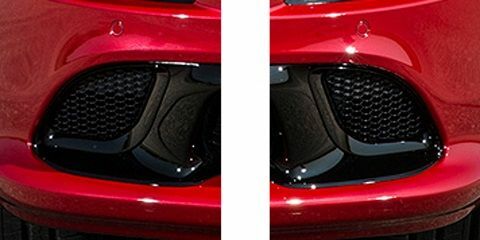 Fit great on my SRT and improved sporty look but items are to expensive. Good fit & finish, easy install. The price for these 2 pieces of plastic though is outrageous.